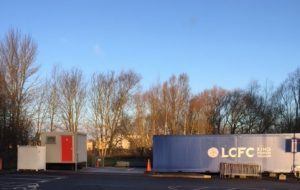 You are here > Home>Case Studies>Tuffa Water Tanks get new Leicester City Media Centre off to a winning start! 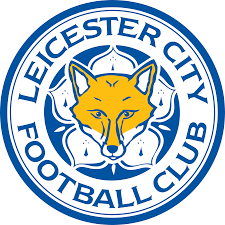 Tuffa UK has supplied two water tanks to the Premier League Football Club, Leicester City. A Tuffa Water Bowser at Leicester City’s new Media Centre. In addition, the Tuffa Water Bowser incorporates a built-in rainwater harvesting system, which helps to reduce the frequency of tank refills. When re-filling is required, the bowser has an easy access filling point. Other features include 5” and 24” inspection lids, external power socket and lifting lugs for Hiab installation. Tuffa’s Effluent Tank was also installed as part of the Media Centre toilet facilities. This 2,500 litre tank is a sceptic unit designed to fit under cabins and buildings where mains effluent drainage may not be available. The Tuffa Effluent Tank features two 12” inspection points at the waste removal point and internal bracing for additional strength. Lifting eyes make transport, off-loading and positioning easy to manage. You can find out more about our Water Bowsers and Effluent Tanks here. Please call our sales team on 01889 567700 for all price enquiries and technical specification.